Setting up the right statistics tracking and web analytics tools to measure your marketing strategy effectiveness can offer short and long term benefits. Are you currently able to track and measure the performance of each one of your marketing campaigns? 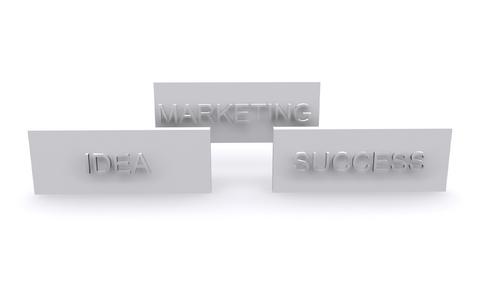 What is your current marketing strategy doing for your business? If you are not able to track your campaign’s performance, you will not have a firm handle on whether or not they are working. And a marketing campaign that is not working is useless to your business. Intelligent and expert marketing strategy, brand strategy, and online marketing strategy can drastically increase your return on investment (ROI). Statistics Tracking, Web Analytics Tools and Solutions: Measure the effectiveness and performance of each one of your marketing campaigns. Targeted, Organic and SEO Marketing: Attack qualified and targeted traffic. Interactive Tools and Solutions: Grow your opt-in e-mail database. Poll Tools: Create and manage as many surveys, polls and marketing studies as you want. Reviews and Voting Tools: Get your visitors engaged on your website. Events Management and Calendar Tools: Attract massive attention. Usability Strategy: Increase page visits and average time on site while reducing your bounce rate. Call-To-Action Marketing Strategy: Convert more clicks into sales. Product Branding, Brand Strategy: Add value to your marketing efforts. Graphic Design, Logo Design: Boost your image and make it stand out. Social Media Marketing Tools: Nurture existing as well as new business relationships. RSS+Atom Feed Publishing and RSS+Atom Aggregation: Share and publish relevant content dynamically on your website and get people to follow you directly from your website. The entire Entrepreneur Web Technologies team is committed to delivering the best of the latest marketing services you can measure! If you want to see a return on your marketing investment, it will not be enough to try different marketing and advertising strategies. Your brand strategy must make sense and must be measurable. In the old school of marketing, we were taught that advertising to a general audience was a necessary risk to take. An intelligent and quantifiable online marketing strategy eliminates that risk and alternatively targets customers already inclined to buy the products and services you offer. Take action today. Call 1-877-900-7077 and a certified executive analyst will schedule your FREE 1 Hour Marketing Services Consultation on today's best online business strategies. your business ever needed in a website. 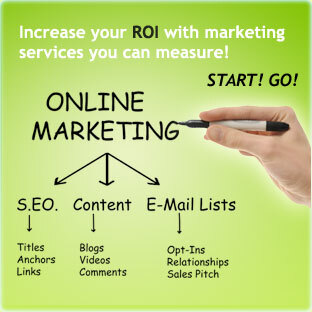 Entrepreneur Web Technologies is a local online marketing company. Copyright 2019 Entrepreneur Web Technologies Inc. Online Marketing, Website Design Montreal and SEO Services. All Rights Reserved.